Mercury is never far from the horizon during hours of darkness, and trees or a tall building can easily obstruct your view of it. Here it is seen at about 7:45 p.m. local time from mid-northern latitudes on April 26, when it will hang below a beautiful crescent moon. 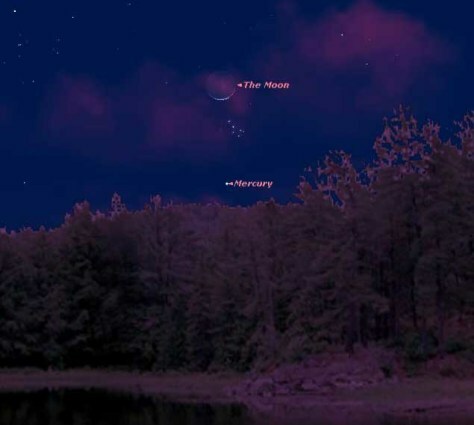 Between the moon and Mercury, look for the Pleiades Star Cluster.